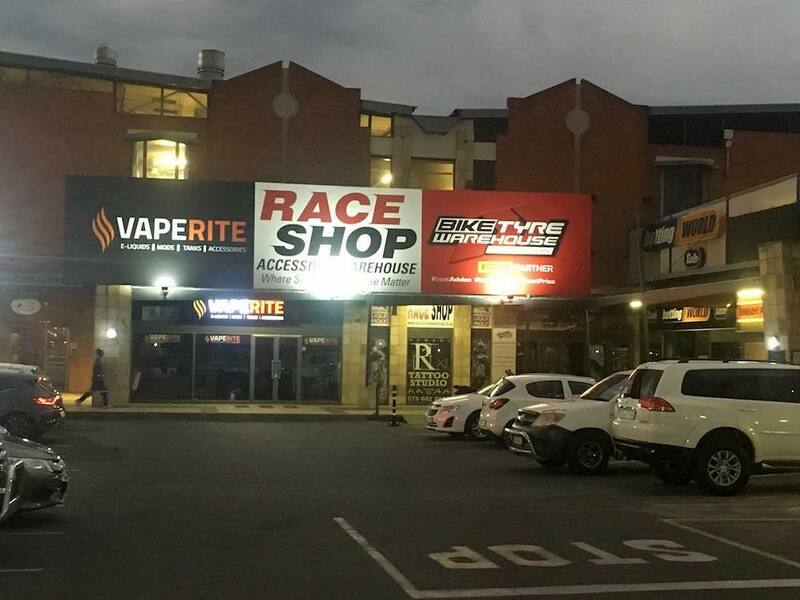 They are also now operating out of their Fourways branch at the Petrolheads Village in Fourways. 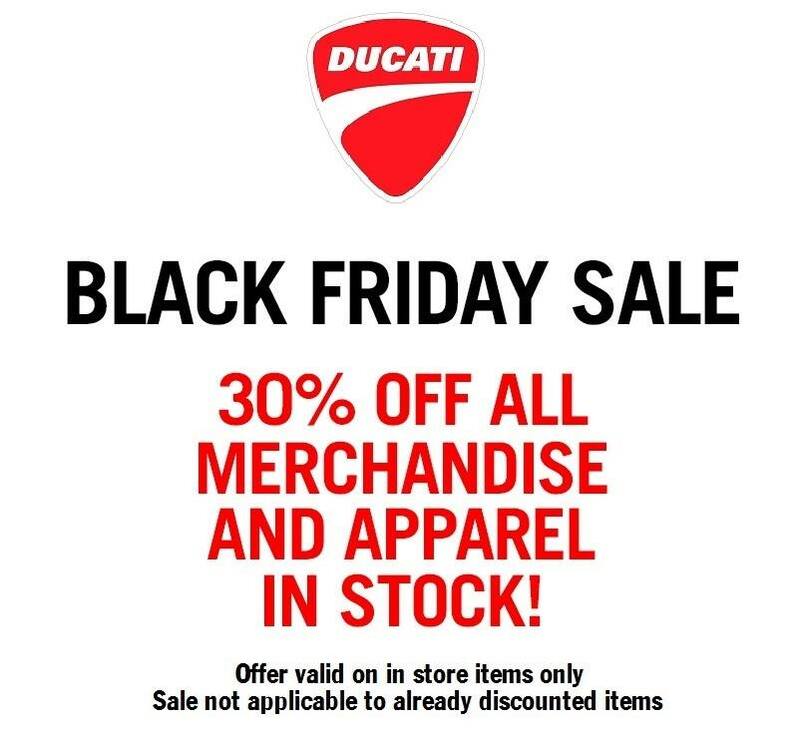 Ducati is also hosting a Black Friday sale on all Ducati apparel that is being discounted by 30% (not including goods that have already been discounted). 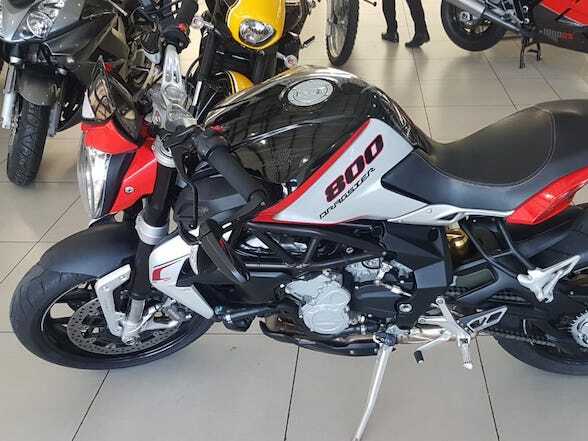 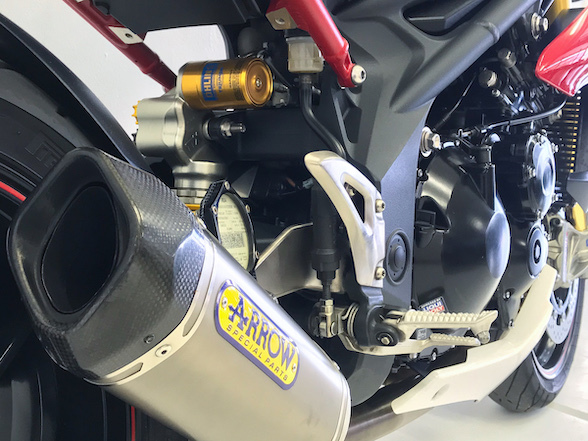 This is good news not only for Ducati owners but for anyone who is a fan of the big red Italian brand and is looking to indulge further. 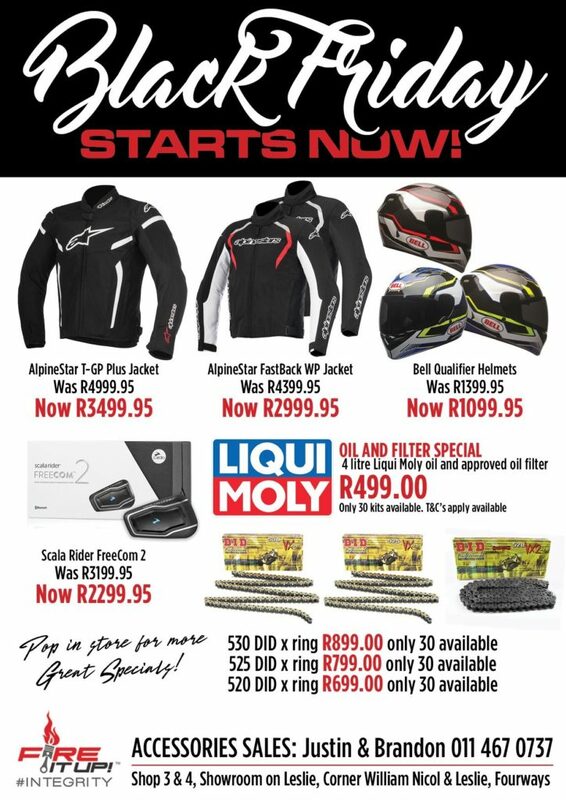 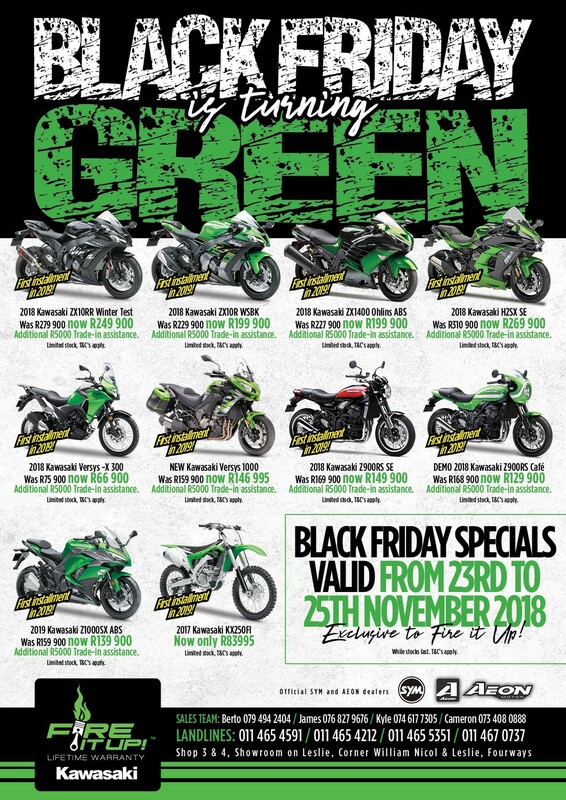 Like most things they do, Fire It Up is going big for Black Friday this year offering specials on both motorcycles and accessories. 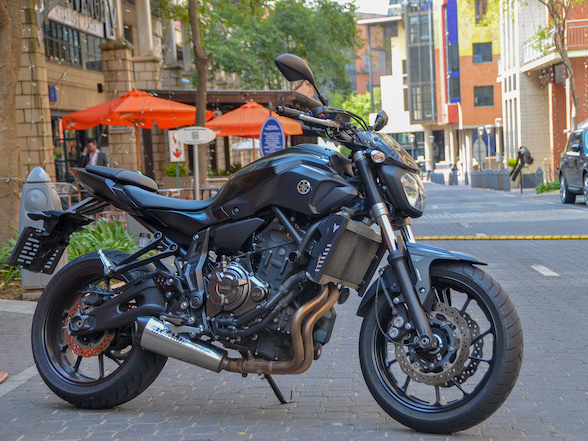 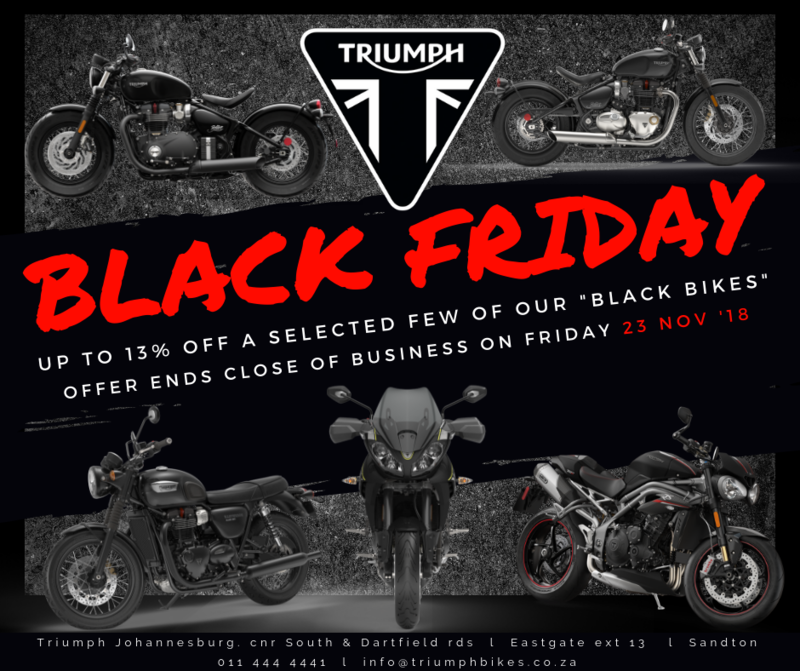 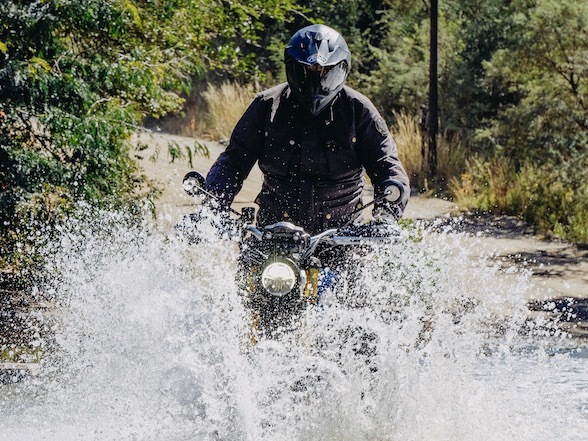 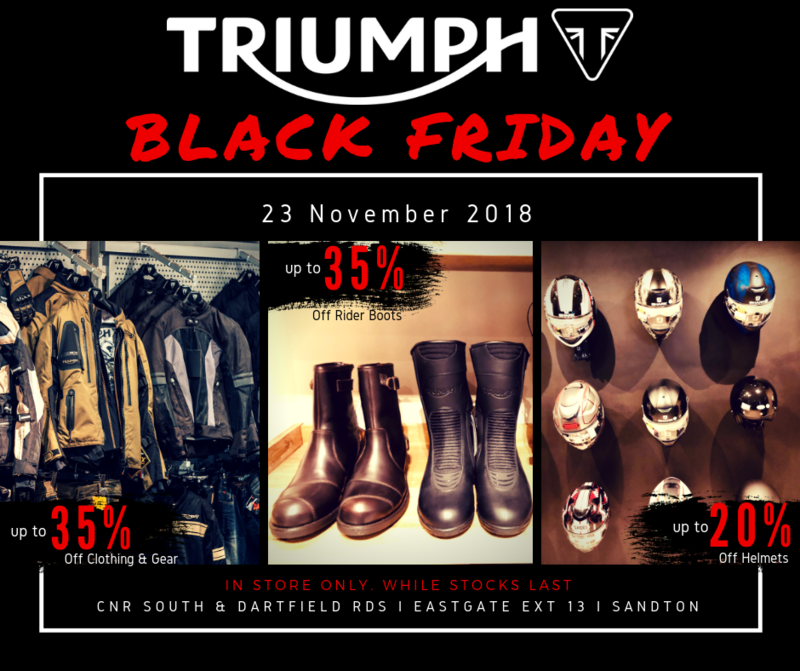 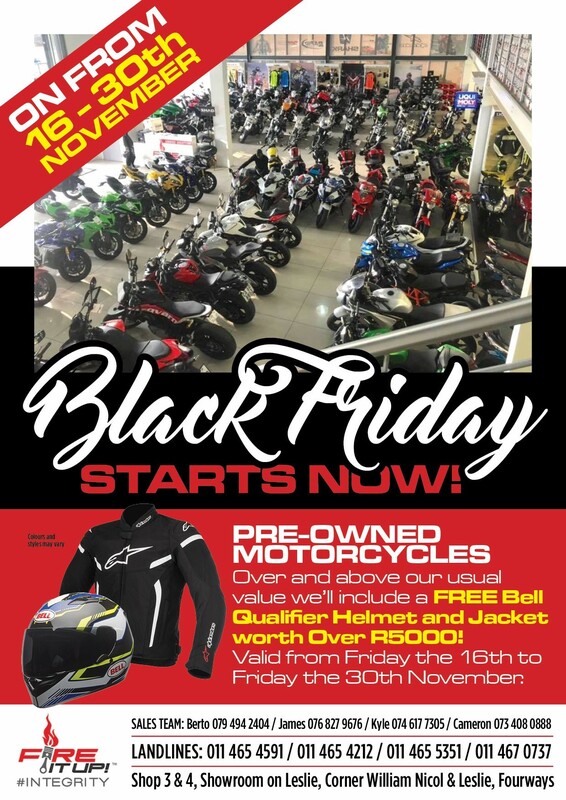 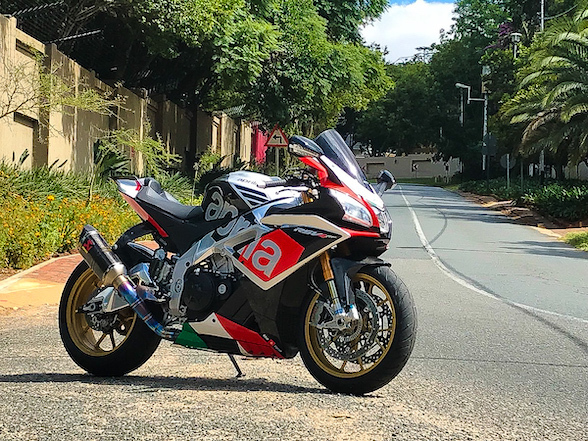 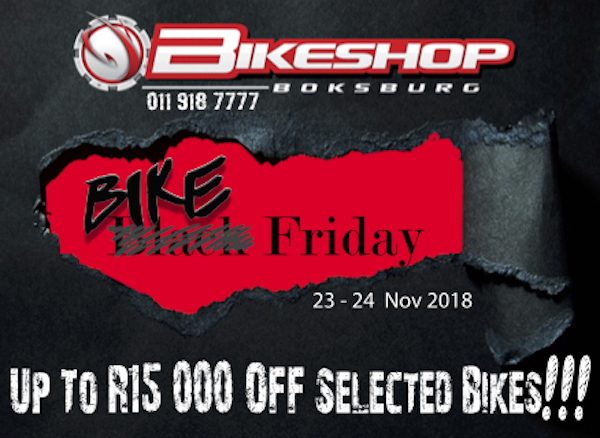 Triumph Motorcycles South Africa is celebrating Black Friday by offering discounts for Friday 23 November on both motorcycles and accessories. 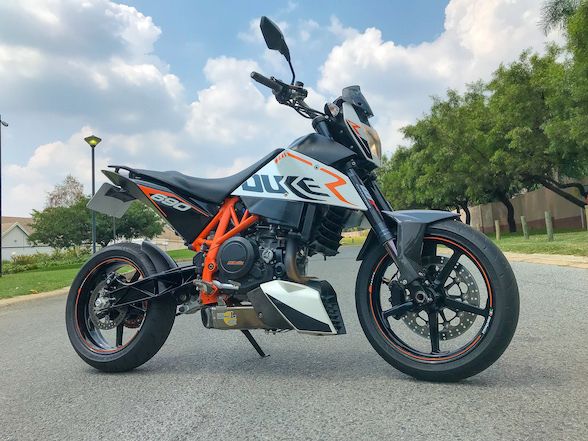 The small problem here is that XKulcha, apart from their Factory Open Days on the first weekend of every month, is not a retailer, however they say that many of their dealers will be hosting Black Friday specials on XKulcha jeans and riding pants. 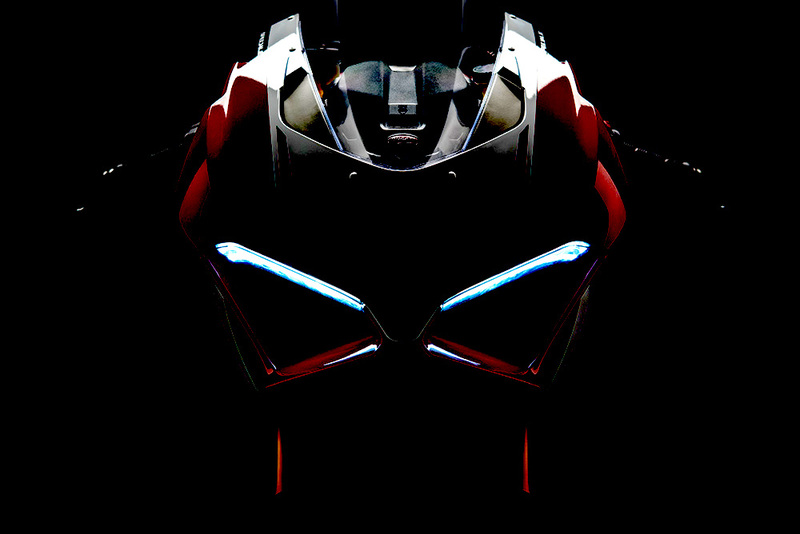 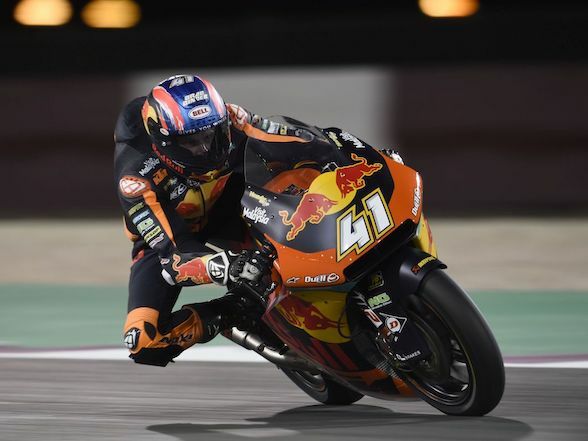 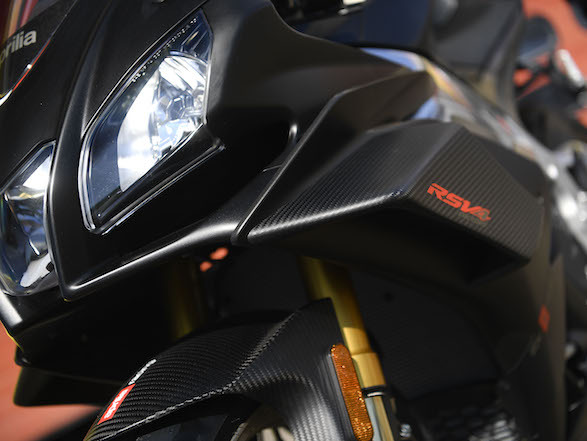 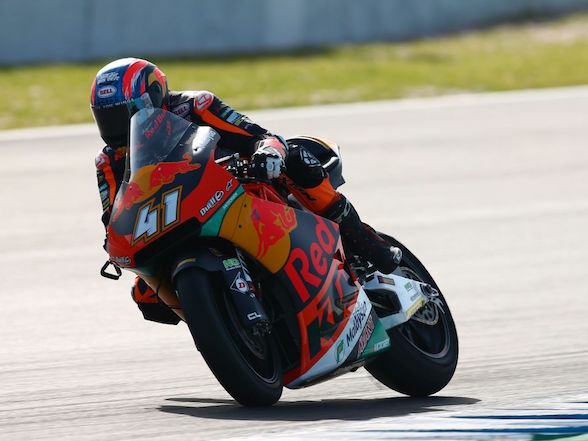 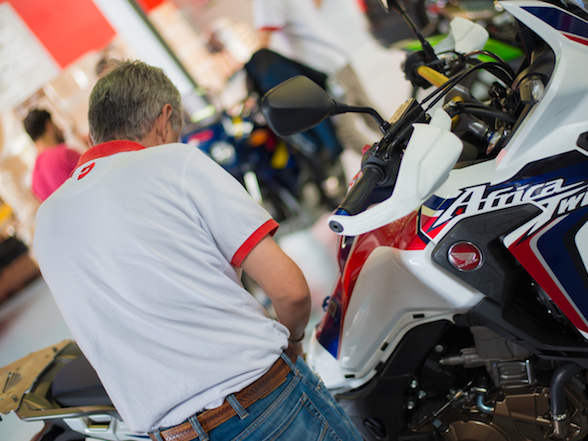 Next Post Mat Durrans: "At EICMA, there were two models that made the biggest impression on me"